Being among the official Media Partners of the last edition of ACHEMA, PCN Europe will be at the show from June 11 to 15. 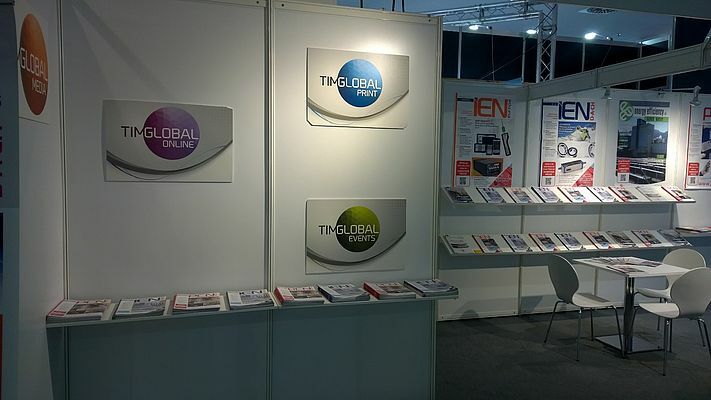 The editorial staff of TIMGlobal Media, historial publisher of several B2B industrial publications like IEN Europe, PEI, IEN Italia, CMI and others, will be waiting for its readers and companies at the stand B12, passage hall 5.1-6.1. On this occasion, PCN Europe May issue is traditionally devoted to ACHEMA, with special focuses, interviews, insights and previews. Three years ago, we had the wonderful possibility to collaborate directly with DECHEMA and to publish one of their catalogues, which was connected to the focal topic “Process Analytical Technology”. A great experience that let us see first-hand the backstage of the exhibition and put us through to the very heart of the show: the high-profiled exhibitors and major companies of the process industry. This year, with the upswing of the process industry and the evolution towards the IoT, the angle of the show has changed in a somewhat radical way: themes such as Flexibility and Modularization and Logistics have upstaged and are now of paramount centrality. These are not the traditional topics you would expect to see developed in this very context. This means that also the heaviest and most conservative industries are responding to the 4.0 revolution to adapt themselves to the general wind of change. Don’t miss the opportunity to meet us and explore all these themes together at ACHEMA! You can find us in Passage Hall 5.1 - 6.1, booth B12!